Port side of a fishing yacht that is throwing spray in the sun. 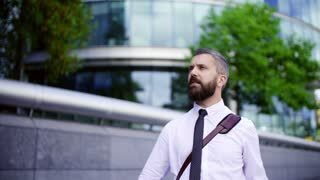 A portrait of hipster businessman with laptop bag standing on the street in London, looking from side to side. Slow motion. Time-Lapse of a Working Day in Big Modern Warehouse. Surveyors, Inspectors and Loaders, Working Side by Side with Heavy Machinery Like Forklifts Trucks. Shot on RED EPIC-W 8K Helium Cinema Camera. Driving along the Sea Cliff Bridge, south of Sydney in New South Wales, Australia. Coastal drive along a highway suspended over the coast line with mountains on one side and the ocean on the other. Professional soccer player is juggling and making tricks with his right side-foot. 1960s: Students enter school doors, people exit. University building, lawn and trees. University building by curving street. Side of building, trees. Man jogs toward university fence and building. Playful white dog with a toy in his mouth turns his head to the side. Goldendoodle playing in the grass with his toy. Video footage. Driving a car through city industrial zone in sunset, view from the side window, silhouettes of buildings and trees. 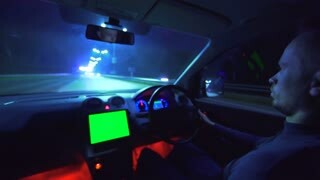 Drivelapse from side of fast car moving on a night avenue in city timelapse hyperlapse, road with lights reflected on car on high speed. Rapid rhythm of a modern city. Boy looking at a smart phone lying on his side. Aerial View of White Truck with Cargo Semi Trailer Attached Drives on the Highway. In the Background Warehouses and Industrial Loading Buildings are Seen. Sunset.